Back in December I signed up for 5 by the 5th hosted by Laura at Mommy Run Fast. Not knowing I’d be completely side-lined with a hamstring injury, I signed up as any non-injured runner would do when they want to join a challenge. You could either walk, run or walk & run 5 km or 5 miles before the 5th of each month starting in February and ending in May. I figured no problem. I can commit to that! However, my hamstring had other ideas. However, I managed 🙂 I ended up walking & running my way through 5k; 3k running and walking the remainder to have a total of 5k completed. So, I got it done….took MUCH longer then I ever thought it would. It was around 54 minutes of walking, running and walking. Now remember, I’m only allow to run at a certain pace. So, those 3 km of running were SUPER long for me, not to mention the walking. Good news, I saw my physiotherapist yesterday! That’s right folks….I’m moving up in the world; allowed to run 4k and introduce the wall sit. Well, semi-wall sit but I’ll take it. So far, my hamstring feels really, REALLY good. Fingers crossed I’m heading in the right direction. 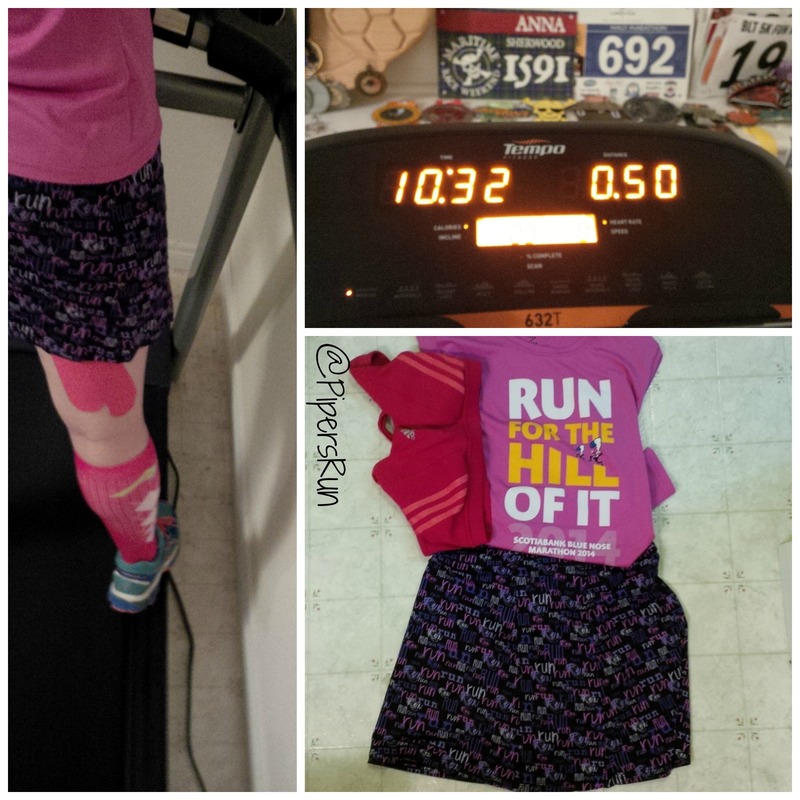 I’m hoping by March 5 by the 5th, I’ll be able to run the whole thing – maybe even more! For more about 5 by the 5th – go here. Anyone else doing 5 by the 5th? February monthly challenge – what’s on tap? Do you modify any challenges as needed or push through them? You know me–all about modification over here! And if need be, aim to walk the 5! Yay for 4K! So glad you are making some progress. This is a great idea by the way. Glad you’re on your way back and that the hammie is feeling good! Good to hear it is making progress. Keep up the good work! 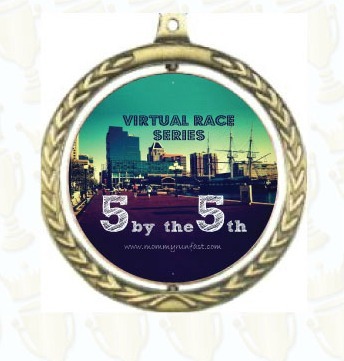 That’s a cool virtual race! Way to go! Here’s hoping that that was your toughest 5 by the 5th of the year!